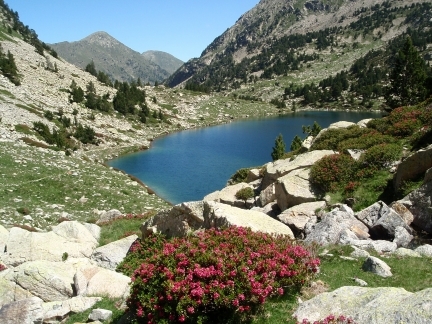 The Three Refuges Crossing is a fantastic idea for discovering on foot unforgettable views of the eastern Pyrenees. Enjoy the abundance of wildlife, beautiful flowers, spectacular gorges, lakes, lonely, lush forests and mighty rivers. During the journey, you can up and down over 3000 meters of altitude. Those who have more strength, can complete the days climbing the peaks representing the area: Balandrau, Bastiments, Gra de Fajol, Gallinàs, Torreneules i Puigmal, accumulating a total of 6000 meters of altitude. Guide-Map of the journey edited from Editorial Alpina, where you can found all information regarding the crossing stages. You can download the crossing tracks from our website. There is not a centralized booking service. You must book each group of hikers each of the three refuges.